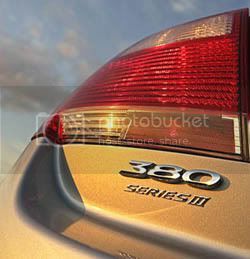 The DB Series III Mitsubishi 380, was released in July 2007 to continue combat poor sales and stiff competition. A minor revision of the Series II, the range is characterised by sportier flavour with the inclusion of the sports front on all models. 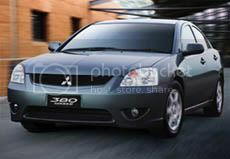 Due to a declining large car market, and poor sales of the 380, the model was finished in March 2008, along with the closure of the Mitsubishi Australia plant. ES Sports- Upgrade on ES. 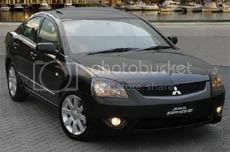 17-inch alloys, rear wing, sports suspension, sunroof, Bluetooth $28,990 (at introduction, July 2007). VRX Fusion Burst- Upgrade on VRX. 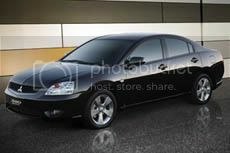 Limited edition colour palette, matching seat inserts, sunroof (at introduction, July 2007). 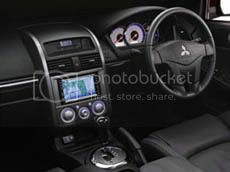 GTL- Luxury pack for GT - black/stone interior colour scheme, chromed deck lid and tail lamp surrounds, luxury themed instrument cluster, sunroof, silver painted alloys (July 2007). Platinum Edition- Upgrade on ES. ( November 2007). 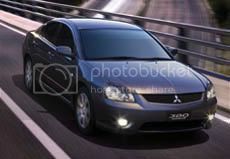 Images sourced from http://www.mitsubishi-motors.com.au or www.carpoint.com.au unless otherwise stated.